The sun was getting ready to dip below the trees across from the Eastman’s Apples. 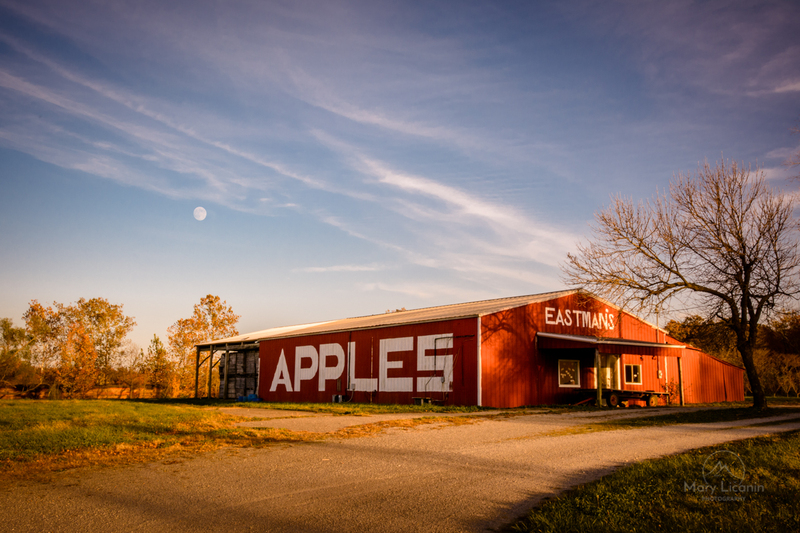 The Eastman’s Apple farm was hard hit by very harsh winters for a few years in a row. Although they lost many of their trees, Eastman’s has been open every summer and life goes on around it in rural Illinois. In this landscape photo you can see a train zipping by just behind the apple orchard and country store. We hope for a less extreme winter this year, and until next season, we hang on to positive thoughts and hope that Eastman’s Apples are cared for by protective apple in the sky – as we see in this photo, the full moon.